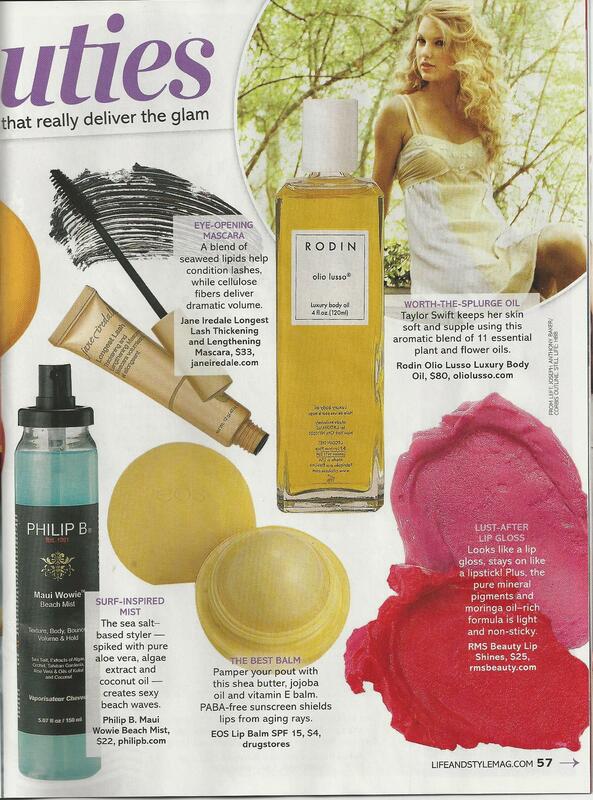 In honor of Earth Day, this week’s Life & Style features cosmetic products that are both green and glamorous. Included in their picks are rms beauty‘s nourishing lip shines. Deemed a “lust-after lip gloss,” this lip product not only delivers serious color but is also full of lovely ingredients like hydrating moringa oil. Apply to lips as you would gloss and cheeks for a light flush of color without the stickiness. Available in four unique colors, you’re sure to find your new summer must-have!